As you all know, I am a lover of sweet potatoes. These Sweet Potato Cookies are my latest creation. After making my sweet potato pizza crust, I had a little bit of pureed sweet potatoes left over. So naturally I had to make these sweet potato cookies. I also added chocolate chips to mine which is totally optional but highly recommended. My kids went nuts over these! In fact, they were trying to eat them as I was talking the pictures. Here is my baby girl Olive. And my older daughter Meadow. Please excuse the bed head lol. 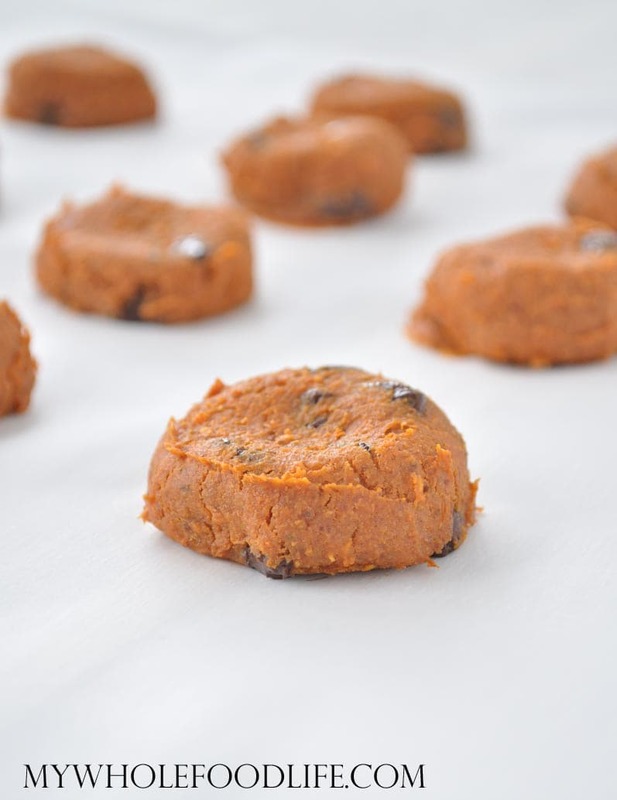 These Sweet Potato Cookies are vegan, gluten free and paleo. If you have never done any grain free baking, let me tell you that the texture is very different than cookies made with grains. Very good though. These have an almost fudgy texture to them. The texture reminds me of my flourless chocolate pumpkin cookies. 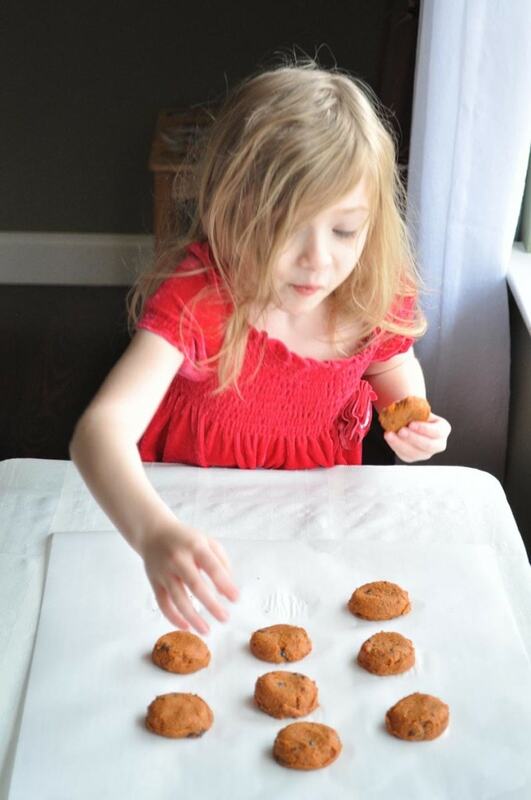 Make these delicious cookies in under 30 minutes! In a food processor , combine all the ingredients until smooth. Add the chocolate chips and pulse a few times to get them mixed in well. Let the cookies cool before transferring them to a container. These should last a couple weeks in the fridge. You may also be able to freeze them. Enjoy! I made these and they didn't seem to solidify properly. I even baked them an extra 10 minutes. A bit disappointing... Anyone else had this problem? Sorry they didn't turn out for you. :( The cookies are soft in texture, but they should set up. I baked them twice as long as the directions said to. They are still soft but they set up/ They were mush after the 17 minutes. Yes - had that problem, but found a solution! You need baking powder and soda, plus additional time in the oven. I had to double this recipe, so I ended up using 1.5 t of powder and 1t of soda. Had to test a few batches to find the right combination. Hope this helps! disappointed.....mushy and did not even firm up enough to get them off the pan without it being a messy misshapen mess. Had to put them back in double the time. needs an egg or something to hold it together. Unfortunately I read the comments after the fact. 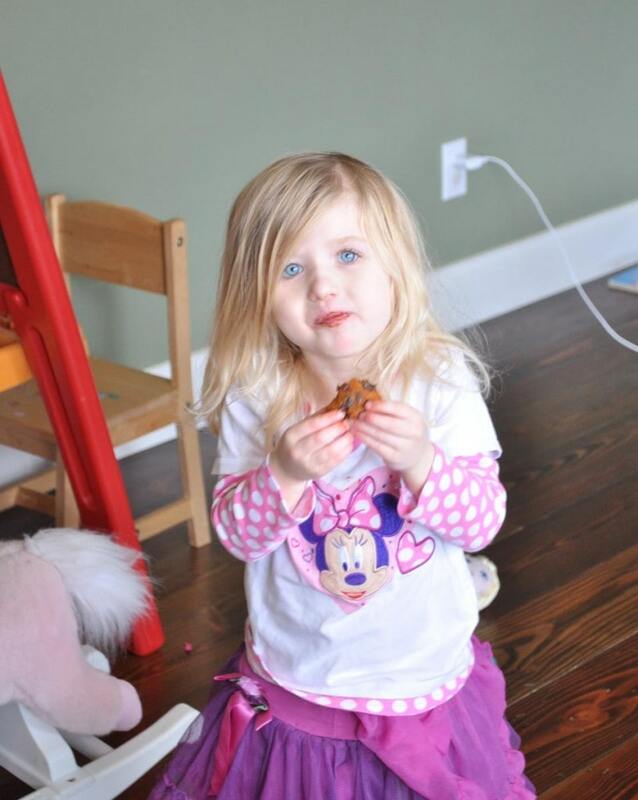 I had same issue with the mushy cookies. I ended up baking the cookies 47 minutes, still soft but not mushy. They are cooling off right now. I'm hopeful that they will set up nicely. Such a fun recipe. Simple w/few ingredients and sweet potato!!! But... I hate to say it, they were runny. I read the comments so I anticipated it. I added a tsp of baking soda and baked 1 cookie as my test, but that was runny so I added an egg and gave it 20 min at 375*F. Batch came out off & good thing I really buttered my pan or they would have stuck to it but all was good (really got to remember the parchment paper next time). Got my last batch in & gave it a splash of Grand Marnier just to see what happens! Wish me luck!!! These turned out perfectly! I've made them a few times, sometimes using substitutes like applesauce for maple syrup and coconut flour for almond. Always great! So happy to hear that Melissa! These turned out perfectly! I've made them a few times, sometimes using substitutes like applesauce for maple syrup and coconut flour for almond. Always great! I roasted my sweet potatoes. Maybe the runniness of others attempts were from boiling them? Just a thought. I made these today and, having read the comments, added baking soda, baking powder, extra almond flour and a little bit of coconut flour to them. They still took a long time to bake, and even after extra baking at a low temperature, the outsides are firm but the insides are still the original consistency. I used parchment paper, but next time I need to grease the paper, because these are sticky cookies. It might help if I make them smaller or flatter next time, too -- I used a scoop, but if they were flat and/or smaller, they would probably bake better. All this by way of notes to self for the next time I make these, because there will be a next time! They are perfect as breakfast cookies with protein and not too sweet. I LOVE your adorable little "bed-heads"! Wish we could have had a pair just like 'em! I wonder if your oven might not be hotter when set at 350 than others'. Aw, thanks! :) Maybe? That was my old oven. I have a different one now.